There are a lot of things I’m good at when it comes to food. Eating, for example, I’m probably best at that part. As far as cooking goes, stove top dinners and breakfast foods are among my favorite things to make. And most importantly, baking! You’re probably already aware my sweet tooth wins all, so dreaming up delicious concoctions and making them come to life is one of my stronger areas. Something I’m not so good at? Grilling. I know, I know…CAVE Girl Culture. What cave girl doesn’t know how to cook food over a fire? I’m a walking contradiction! But the truth is, put me in front of the BBQ and laugh at my clueless look. Oh, you want me to light it up? Okay, where’s the ‘on’ button? Oh…it’s a charcoal grill. I knew that. All silly talk aside, I know I need to step it up when it comes to my grilling skills. After all, I love meat. You can only stand oven baked chicken so many times. And red meat? Forget about it. BBQ all the way! So this weekend, I decided to venture out in the back yard, and light up the ‘ol charcoal grill. Practice makes perfect, right? And how hard can burger patties be? 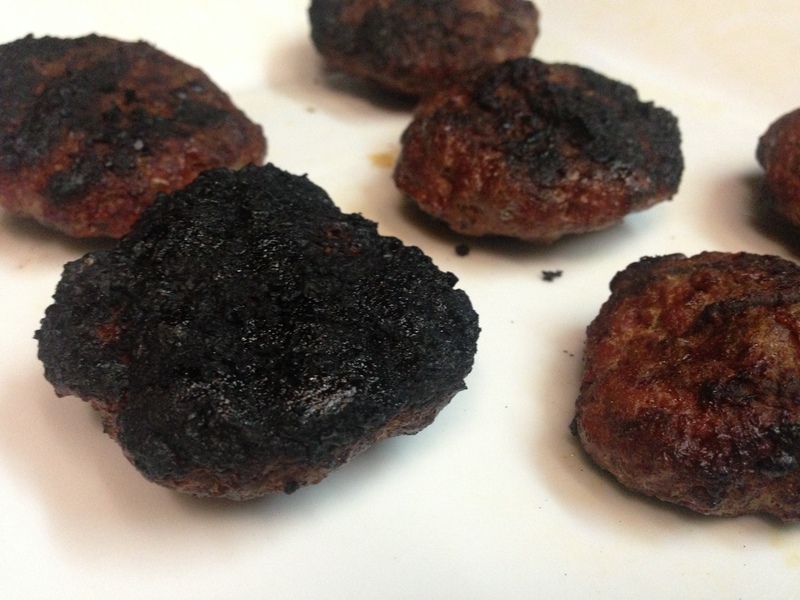 This puts a whole new meaning on ‘charbroiled’. I guess this cave girl is not saving the tribe any time soon. We’re all doomed to starve during the winter. Sorry guys. So I need to work on my grilling, and believe me, I will get it down because now I’m determined. But more on that later. Let’s move on to things I’m good at, like baking! 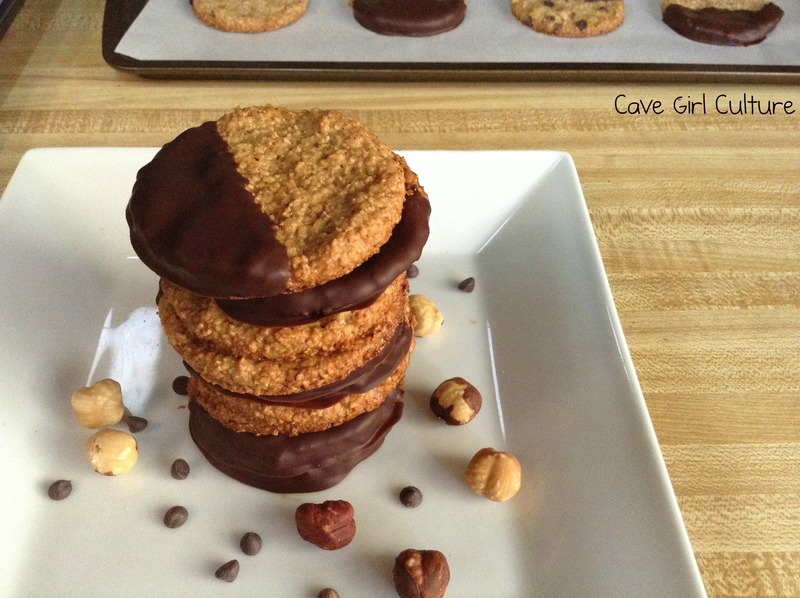 While watching the 2013 Crossfit Games in the comfort of my own home, cheering on the incredibly talented athletes while drooling over their rock hard bodies, I come up with a great idea for a cookie recipe. Figures. I’m watching Samantha Briggs do rope climbs, thinking, ‘with some more dedication and training, I can be just like her!’ And then I go make cookies. Errr…maybe I’ll just stick to what I’m good at. Back to the cookies. 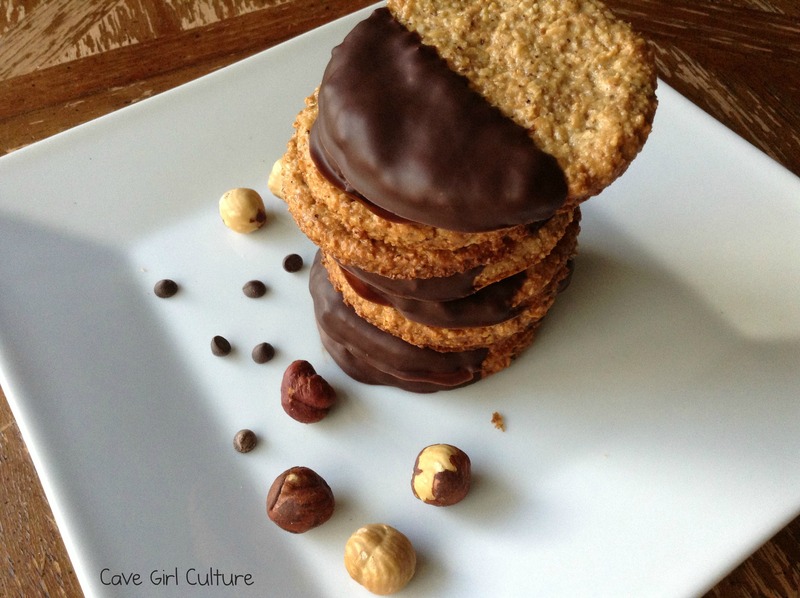 I wanted a thin, crispy cookie but I also wanted decadent, silky chocolate. Something sweet, but not too sweet. Something you could dip in coffee. And most important, something that any guy/gal could whip up when the occasion called for cookies. After cranking out a few variations, I came up with these bad boys. 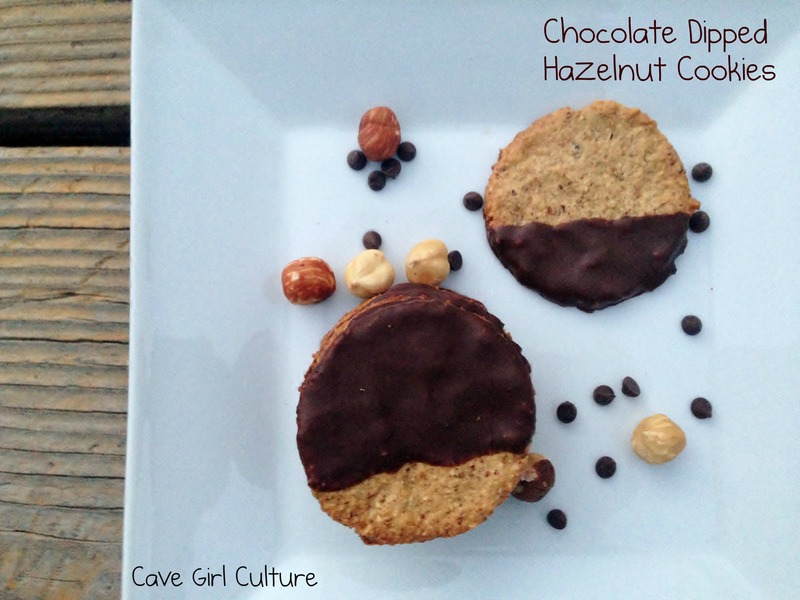 The hazelnut cookie by itself will satisfy a craving, but once dipped and set in the dark chocolate glaze…just be prepared for a few moments of heavenly bliss. 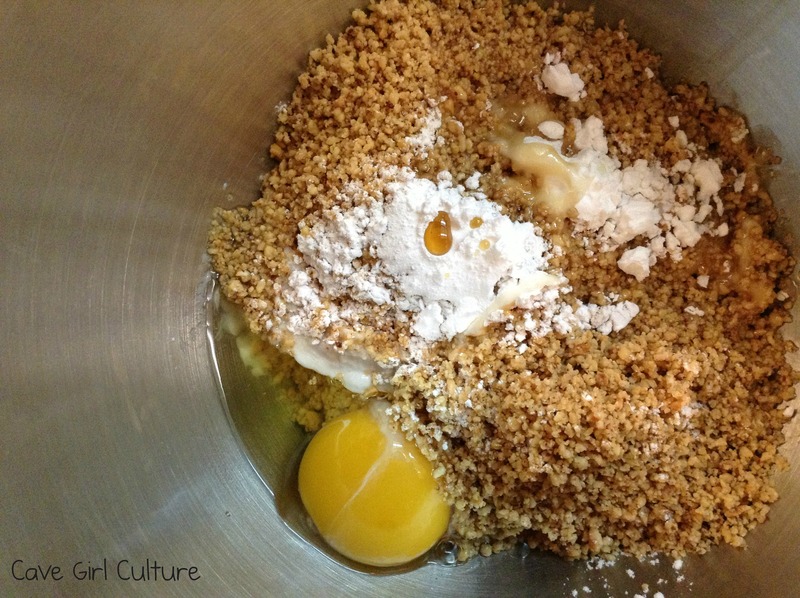 Using a food processor, grind the hazelnuts until you reach a flour like consistency. This should happen pretty quickly, within 10-20 seconds of pulsing on high. Be careful not to over process or you’ll get hazelnut butter! 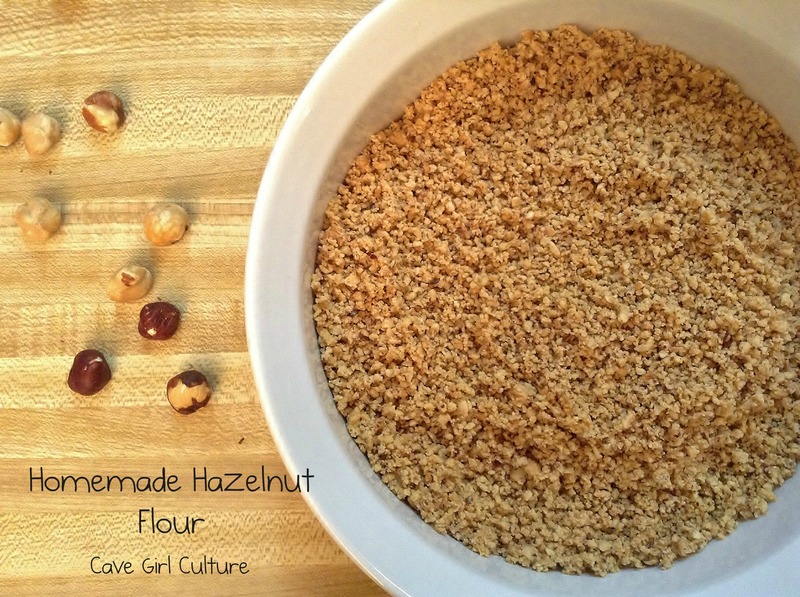 Transfer the hazelnut flour to a mixing bowl, or stand mixer. Add all the dry ingredients and mix until combined. Then add the egg, maple syrup,and vanilla extract. Mix all ingredients on high for about a minute. The end result will be a very sticky cookie dough. Let the cookie dough set in the freezer for about 15 minutes, which make it much easier to handle. I learned this the hard way, after a batch or two of a goopy, sticky mess. While the dough is setting, line a baking sheet with parchment paper and fill a small bowl with about a half cup of water. You will dip your finger tips in the water before handling the dough, to prevent the dough from sticking to your fingers. Remove the cookie dough from the freezer and scoop out a tablespoon at a time. With wet finger tips, press the dough down on the parchment paper until it is very thin and forms a circle. 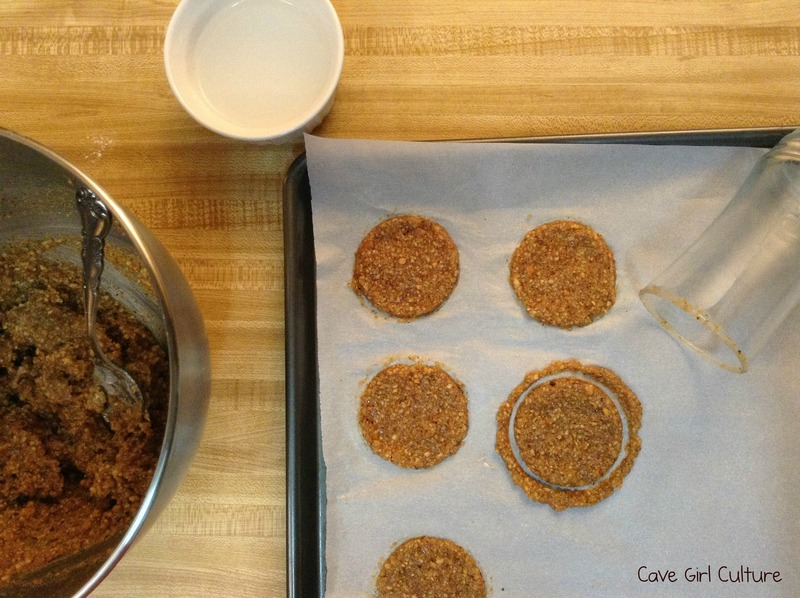 Use the top of the glass cup to cut out a perfect circle (a cookie cutter would work wonders here). Peel off the excess cookie dough and add back to the batter bowl. This part probably took the longest. But hang in there! Note, I ended up using (2) baking pans for one batch. When all the cookies are ready, bake at 350°(F) for 12 minutes, and then let cool for about 20 minutes. 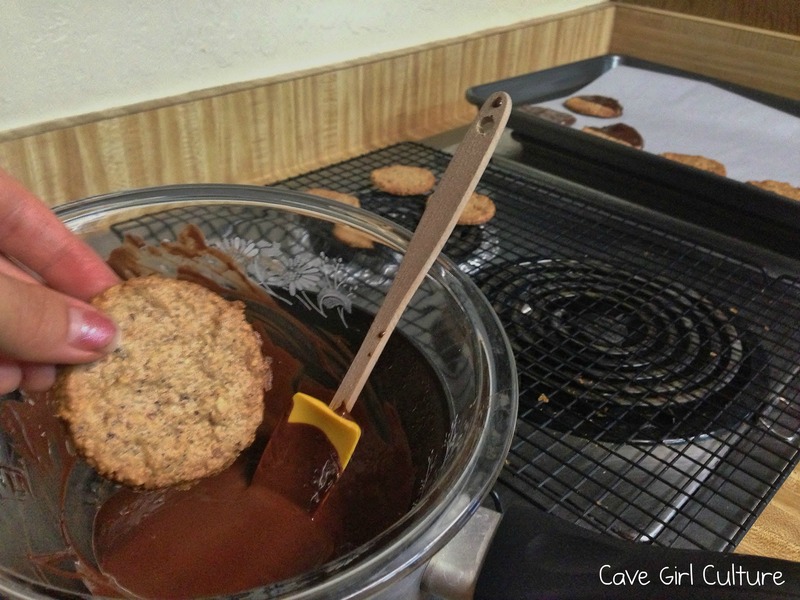 While the cookies are cooling, fill the saucepan with a cup or two of water and place on the stove. Then place a glass bowl over the top of the saucepan, to completely cover it. Pour the chocolate chips and coconut oil in the bowl and turn burner on high. The water will boil, heating the bowl and melting the chips. I prefer this method over microwaving because you gradually heat the chocolate chips as opposed to burning the chocolate. Once the chocolate has melted, add the instant espresso and stir in completely. If the cookies are done cooling, bring the tray over and cover another baking pan with parchment paper. 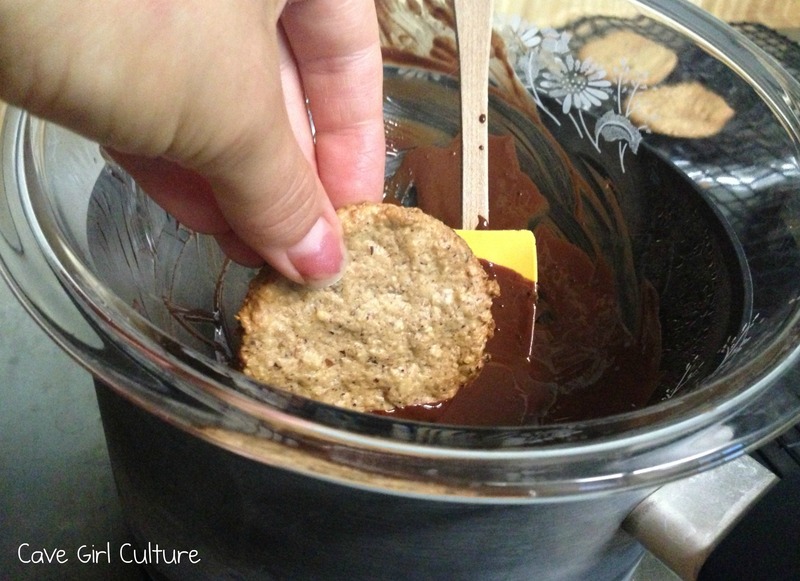 Dip each cookie in half way so half the cookie (front and back) are covered in chocolate. Let the excess chocolate drip off and then place on the parchment paper. Do this with each cookie and then place the baking sheet in the refrigerator for at least an hour, so the chocolate will set completely. I actually left them in overnight and was very pleased with the results. Keep them stored in the refrigerator for best results! Note, these are fantastic dipped in coffee. 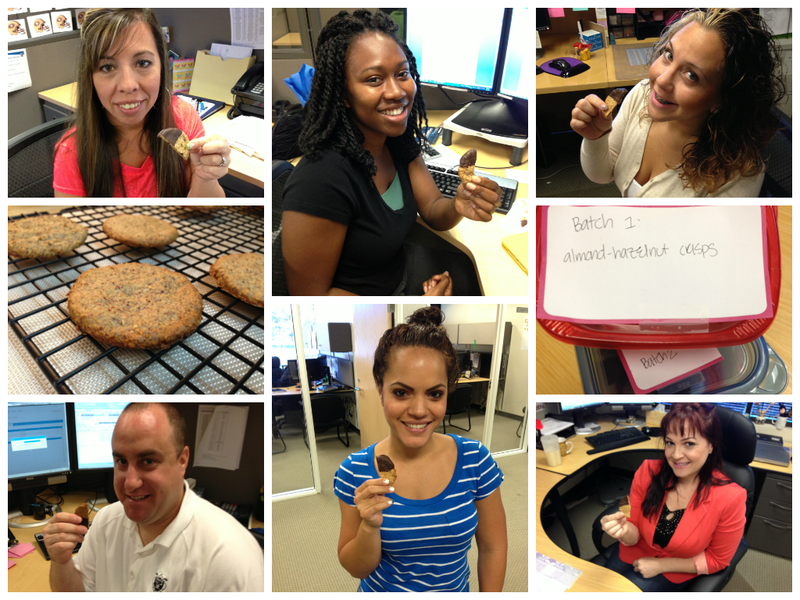 This post happened because I had amazing help from my awesome taste testers, pictured below. 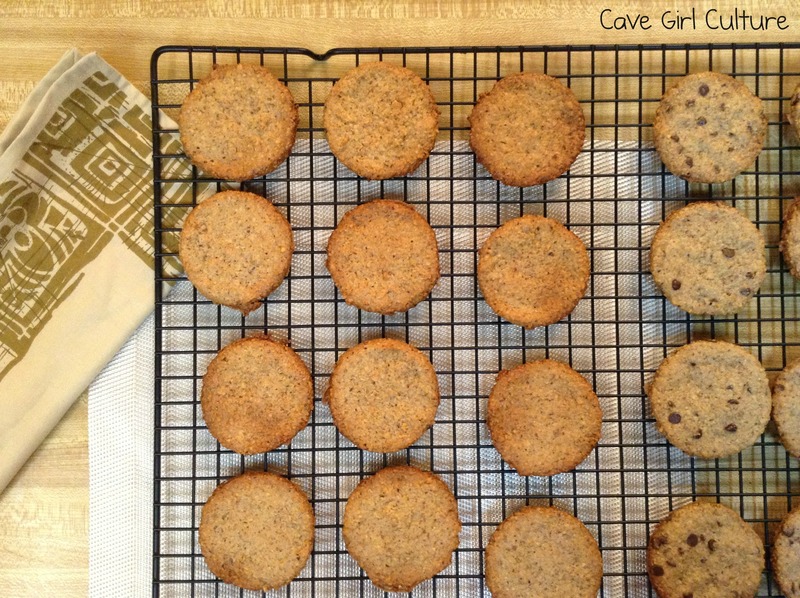 They gave me great feedback, which helped me narrow down the recipe to one perfect batch. Not to mention that if it wasn’t for them, Cave Man and I would have gone through 4 batches of cookies by ourselves. (#paleoproblems). So thank you, dear friends! Pingback: Food for Thought: Skipping Breakfast Kills You and Harvard Gets Smart about Fats… Kind of | Fat-Burning Man by Abel James: Real Food, Real Results.